“Awesome service, the most thorough and friendly employees by far!!! Fabian, Cole and Isac kept us happy and did an exceptional job checking everything out, giving great explanations and overall pretty amazing car service! Highway ramblers and turnpike troubadours grab your phones and get ready to press “download” before you hit the road. Here are our must-have, car-related apps in the free and paid categories. Don’t leave home without them! One thing about hunger when you’re driving down the road is it tends to hit unexpectedly. Incidentally, so do pit stops or needing a hot cup of coffee. When these urgent moments happen, it’s nice to know what options you have. Luckily, there are a few apps to help in these situations. Free: iExit uses your phone’s location to determine where you are along the highway, and show you upcoming exits and what is at them in real time. Let’s say you’re getting a hankering for your favorite skinny vanilla latte at Starbucks. Just let iExit know you’re looking for a Starbucks, and it will search the next 100 exits on your route and find the closest location. You’ll be caffeinated and back on the road in no time. Paid: We all know the feeling: You’ve been in the car for five hours, you’re cruising down the highway, almost to your destination, and then it happens—you hit gridlocked traffic. The next time this occurs, pull out your I-95 Exit Guide app ($0.99). Not only will it tell you about what you’ll find at different exits, but its updated RSS feed will also tell you about traffic and construction news. The app will also warn you of any other construction, detours, closings or events that could impact the rest of your trip. The dreaded word, “recalculating.” Some of us know it more than others. We know when we hear that word, we must’ve missed a turn, turned too soon or driven passed an exit. The good news is, if you use a navigation app, it’s much harder to get lost. Free: Google Maps is a fantastic app that makes navigating your car down the road fast and easy. The voice-guided GPS allows you to keep your hands on the wheel and eyes on the road. With Google Maps, you can view your estimated time of arrival, distance from door-to-door and route all at the same time. Using the “current location” feature allows the app to use the location of your phone and find out just where you are, even if you aren’t sure. With Google Maps, getting lost is a lot harder than it used to be. Paid: If you’re on the road a lot or plan on being on the road more during a certain month, consider the MotionX GPS Drive app ($0.99 per month). This app provides a GPS driving navigation system that will talk you through your journey. It includes real-time and predictive traffic-based routing directions, free live traffic flow maps and pre-loaded maps for those times you don’t have Internet service. Local search and Wikipedia integration allow for rich, up-to-date content every time you open this app. Use the integrated sharing tools to instantly share situations you come across with other people in the app community and on social media. Whether it’s a collision, traffic jam or road hazard, keep your friends informed. There’s something about having a full tank of fuel that makes you feel prepared and ready to rule the road. I am convinced my car actually drives the best when it has a full tank. Placebo effect? Maybe so. Whether your fuel gauge is showing a half tank or it’s on “E,” there are a few apps that will help you find the best deal or the closest filling station. Free: The GasBuddy app uses information provided by their 35 million users to bring drivers together and save them money on fuel. Type your city or postal code into the app to find the cheapest fuel wherever you are. Report cheap gas prices of your own, and help other people in the GasBuddy community save money. Paid: For those of you who want a more comprehensive search of the lowest gas prices in your area, consider downloading the Fuel Finder app ($2.99). What makes this app worth the spend? Fuel Finder provides a comprehensive log of gas prices in the U.S. and Canada by compiling prices submitted by millions of users. It also displays content in an easy-to-read list view, has an optional map view with your current location or postal code and will provide you with complete gas station information. If you want to know what extra services a fueling station offers like whether the location has a carwash, ATM or food mart, Fuel Finder can tell you.Turn on the “On Fumes” mode to find the closest gas stations to you, so you don’t run out of fuel. “Assistance” mode will connect you to roadside assistance. You can even view your customized savings calculation and track just how much you’re saving every year. The most important factor affecting your vehicle is maintenance. How you maintain your vehicle affects the type of fuel mileage you get, the life of your car and how it looks and drives when you’re going down the road. Between oil changes, wiper blades, filters and tire rotations, there is a lot to remember to properly maintain your vehicle. Download a car maintenance app onto your smartphone, and let it remember for you. Trust us, you’ll be glad you did. Free: Keep the maintenance schedule straight for your whole garage (up to five vehicles) with the myCarfax app. This handy app tracks your vehicle’s service history, sends alerts when upcoming services are due and lets you see the recommended maintenance schedule for your specific car. When it’s time for your next service or if a recall has been issued on your vehicle, this app will let you know. Paid: For the ultimate tool to help you maintain and prolong the life of your car, download the Car Xpenses app ($2.99). This handy app will help you log your car-related expenses, service and maintenance requirements and detect potential problems before they arise. When it’s time to head back to the dealer for your regular service, Car Xpenses will remind you. The handy lights and progress bars integrated into the app will alert you of services needed while an animated pie chart will give you a visual reference for expense categories. With the help of these apps, hopefully you won’t find yourself hungry, lost or broken down on the road ever again. Whether you choose a free or paid option, pick an app from this list and try it out today. 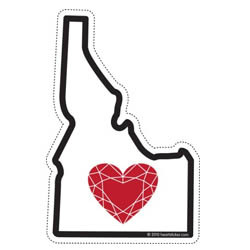 Einstein’s is a homegrown, Idaho company; owned and founded right here in the Treasure Valley. Thanks to your support, we’ve grown from a fledgling Meridian start up seven years ago to operating four locations throughout the Boise area. 2014 will see this growth continue as we make our long anticipated debut in Canyon County with two Nampa locations (North Nampa: in front of Costco, and South Nampa: across from Nampa High School). Without question, none of this would be possible without the incredible support we have received from this amazing community! You have truly made us what we are! Thank you Treasure Valley! 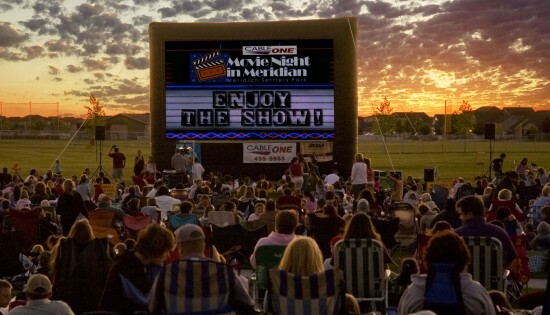 Movie Nights In Meridian Are Back!